The wait is over! Here’s my 2017 Christmas list. I know what you’re thinking. Yes, I’m 22 with a Christmas List. Christmas is my favorite holiday of the year, other than my birthday haha. My list has gotten smaller over the years as I mature. 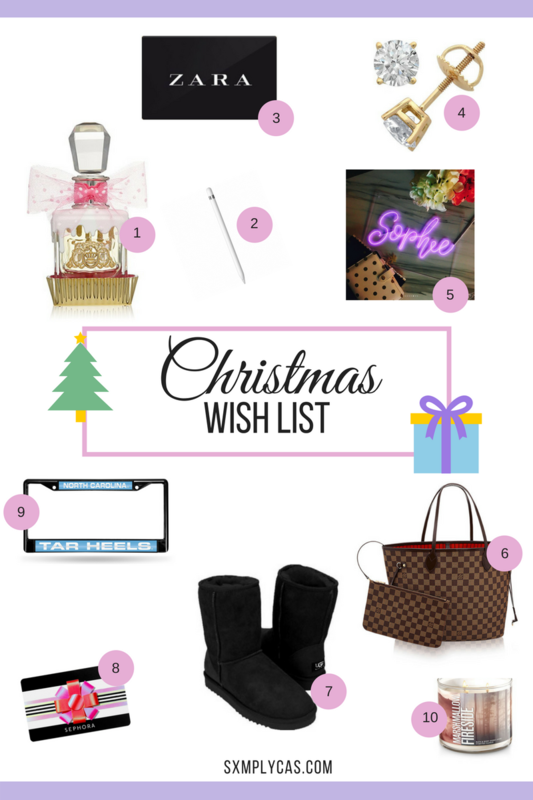 This year, it was super hard trying to put together a list of what I wanted. I literally have everything I’ve wanted. All my family and friends spoiled me this year with amazing gifts and I’ll forever be thankful. So above are my top 10 items that I’ve had my eye on for awhile. All the names and links will be included below. 10. Bath and Bodyworks candle "Marshmallow Fireside"
That's about everything that I would like to get. I do have an Amazon wishlist so check it out H E R E. Comment below one thing you would like to receive for Christmas.